All of my pens are marked with a colored dot. This code identifies both the pen’s STARTING GATE WIDTH (the width of a line written with little pressure on the paper) and HOW FLEXIBLE its nib is (with as much pressure applied as one might use with a toothbrush against one’s teeth). 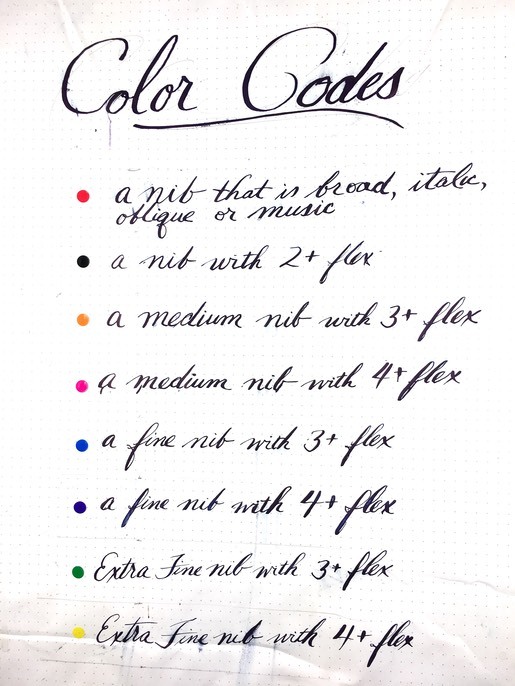 Though this is an arbitrary system, it provides some basis for comparing the nibs of different pens.